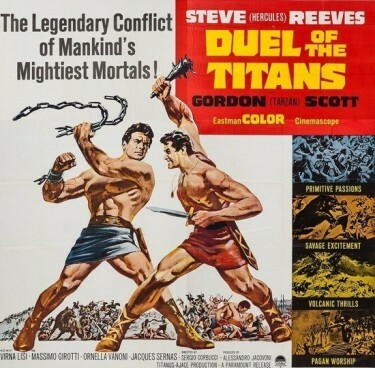 Duel of the Titans. The legendary brothers Romulus and Remus go into conflict as to who will ultimately survive and found the city of Caesars. Steve Reeves (Romulus) and Gordon Scott (Remus) are brought into competition. They are shown from their earliest beginnings as abandoned babes on the Tiber River, destined to face all sorts of challenges. First come their adventures after they are adopted by a female wolf as her own offspring. Then they later handle catastrophes like an erupting volcano or combat with an angry bear. Once the two brothers have reached adulthood, they become enemies, as Remus seeks to asert his power and Romulus seeks to contain him. This is an enjoyable film with struggles, love and hatred, tortures and including spectacular battle scenes. 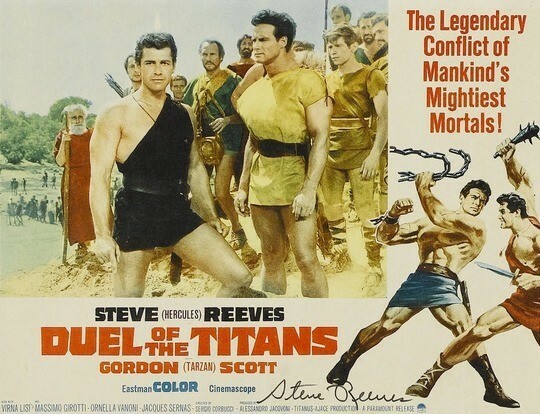 Steve Reeves and Gordon Scott are perfect as the mythical heroes who encounter pretty risky situations while trying to find a location for the foundation a city. I imagine they had a great time making this film in Italy. When this film is seen in ideal circumstances— with an excellent print and in the original widescreen format — DUEL OF THE TITANS is one of the best. 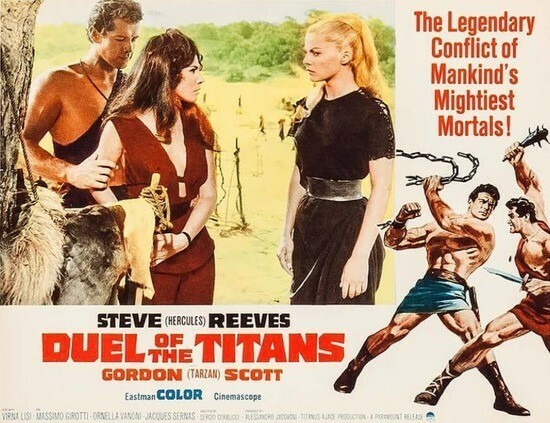 I liked Steve Reeves – he had a limited range of course but made the very best of what he could do. 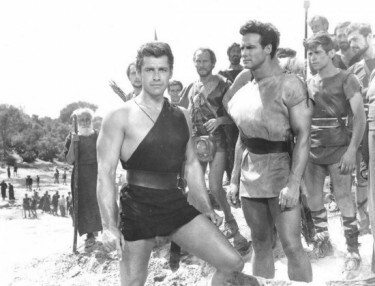 Gordon Scott also – from the peak of his career in the Tarzan films – where he did pretty well – after following Lex Barker and Johnny Weismuller in the role – and this was a pretty tough act to follow. 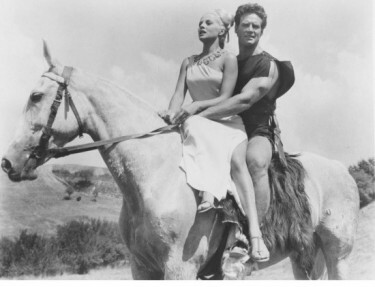 Lex had proved a brilliant Tarzan after the legendary Johnny. Now this one is a really terrific film. Part of the Edgar Wallace series made in the late 50s and into the 60s – and this one like most of them only runs for 62 minutes but certainly packs a punch – as we the viewers, are unable to work out just where this one is going. 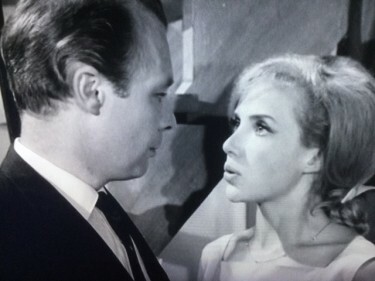 John Carson plays the spurned lover of Justine Lord (who is given many close-ups by James Wilson’s excellent camera work) while Anthony Bate plays the wary husband. The plot is unusual, and the tension mounts, as Carson plays a dangerous psychological game. Twenty minutes in you think you know where this is going but the plot takes some twists and turns. This was the directorial debut of Alan Bridges, and I just loved the change of pace and style with unusual camera angles and intense close-ups particularly of the very lovely Justine Lord who played her part brilliantly and very confidently too. 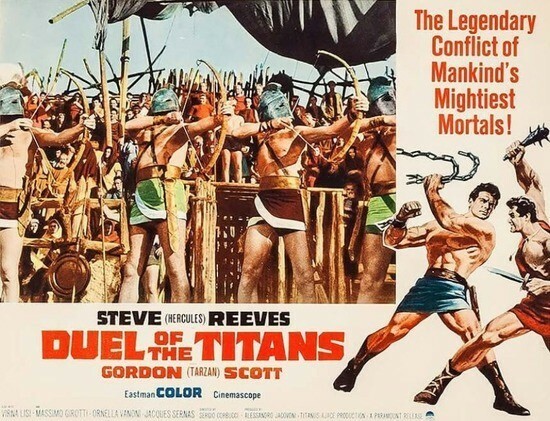 That could be said also of John Carson and Anthony Bate – both of whom were excellent in this one – and both went on to have long and successful careers. At times this is worrying and sinister. Above: A grizzly find for Justine Lord and Anthony Bate. Above: Anthony Bate starting to realise what might be going on. He now walks away troubled. It is one that I do remember seeing at the cinema – and I particularly remember the ending from that time but not much else. Please do get a copy of this and watch it. You will not be disappointed. Justine Lord (born Jennifer Schooling; 1937, Bromley, Kent) is an English actress, active on television throughout the 1960s. Justine Lord married James Ridler in 1971. She had to work and to express herself. Her early ballet ambitions gave way to acting aspirations, and she switched to straight acting , displaying her sense of comedy very early in her new career when she played the bride in SAILOR BEWARE ! on tour, and then toured with the Hulberts in STAR MAKER. 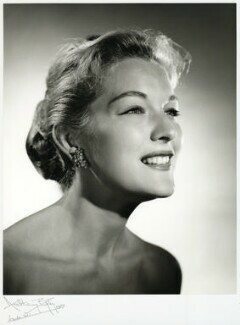 She then went into repertory, appeared in SALAD DAYS, and made her television debut in CHARLESWORTH (as a nun !) 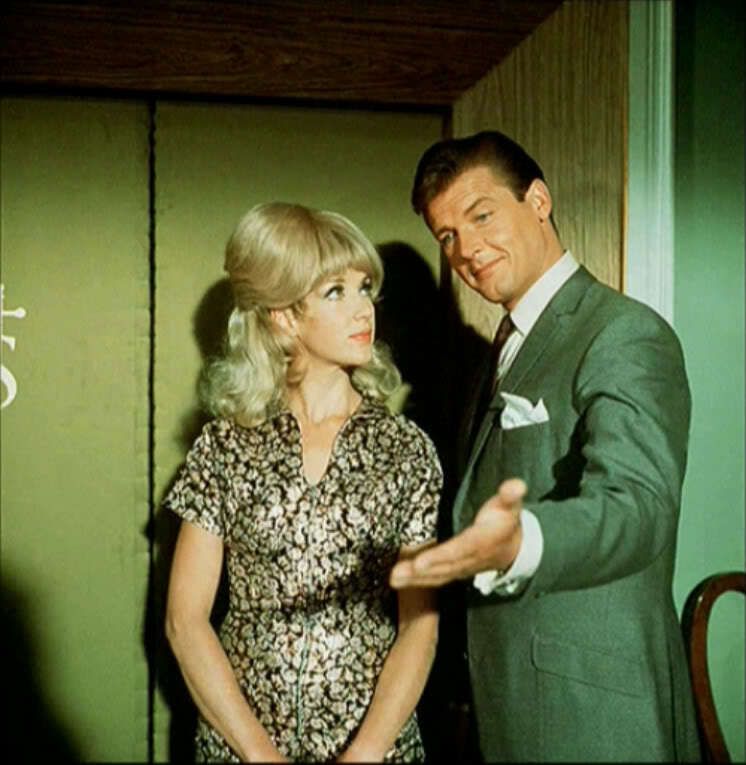 She found her niche in television, with leads in series such as THE AVENGERS, NO HIDING PLACE, GIDEON’S WAY, THE BARON, MAN IN A SUITCASE, a running role in COMPACT, and setting up an all-time record by being Roger Moore’s leading lady six times in THE SAINT. She has also appeared in several feature films, including WARLOVER, TAMAHINE, and RING OF SPIES, and, returning to the theatre, has played Shakespeare at the Bristol Old Vic. Since THE PRISONER she has appeared in THE TROUBLESHOOTERS and CROSSROADS, amongst other things, and now prefers to list the programmes she has NOT appeared in ! Between roles she is active in teaching at a school in Kent. 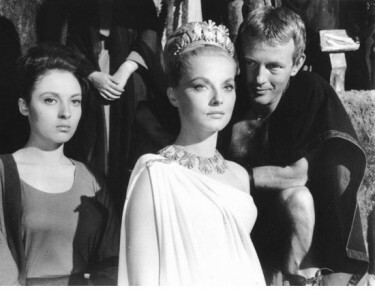 Not only did she do Shakespeare in her early days, at the Bristol Old Vic, but also George Bernard Shaw. 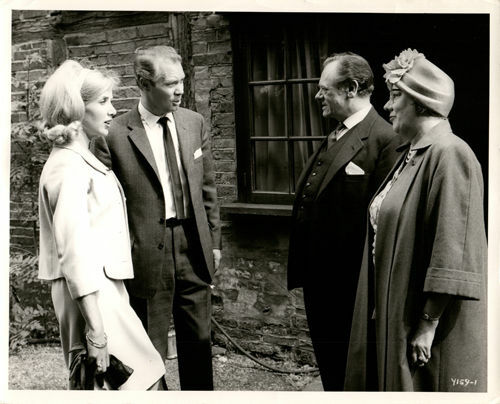 Specifically, in 1964, ‘Arms and the Man’, with John Franklyn Robbins, Freddie Jaeger, Edith MacArthur, Dudley Jones, Patricia Brake. 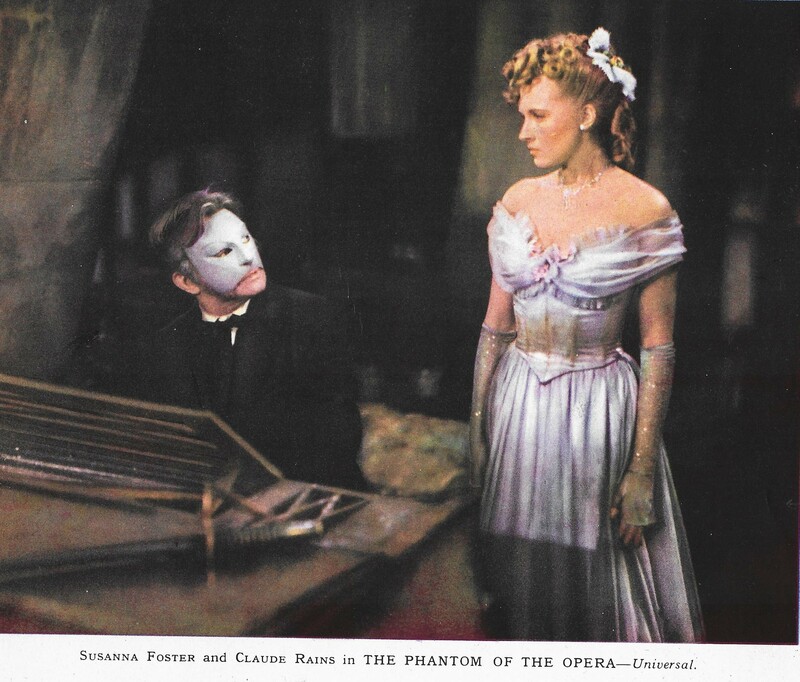 We have become so used to the wonderful Andrew Lloyd Webber stage version of this story that this older Colour film version goes by these days mostly un-noticed which is a great pity because this is a good film. There was a later version made by Hammer Films in England with Herbert Lom as the Phantom made in 1959 – it too was good. 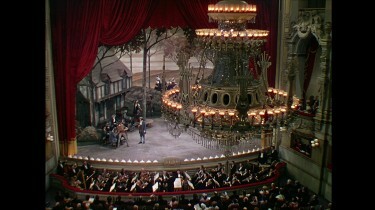 Violinist Erique Claudin played by Claude Rains, is dismissed from the Paris Opera House after revealing that he is losing the use of the fingers of his left hand. Unbeknown to the conductor, who assumes Claudin is able to support himself, the musician has used all his money to help anonymously fund the voice lessons for Christine Dubois, a young soprano with whom he has fallen in love. In a desperate attempt to earn money, Claudin submits a piano concerto he has written for publication. After submitting it and not hearing a response, he becomes worried and returns to the publishers, Pleyel & Desjardins, to ask about it. No one there knows what happened to it, and do not seem to care. Claudin persists, but Maurice Pleyel rudely tells him to leave and goes back to the etchings he was working on. Finally giving up, Claudin stands there for a moment and hangs his head sadly. Someone begins to play music in the next room, and he looks up in shock when he hears it. It is his concerto that is merely being endorsed and praised by Franz Liszt. Convinced that Pleyel is trying to steal his concerto, Claudin leaps up and begins to strangle him. Just as he tosses the body of Pleyel to the floor, Georgette, the publisher’s assistant, throws etching acid at Claudin. Screaming and wailing, he dashes out the door clutching his face. 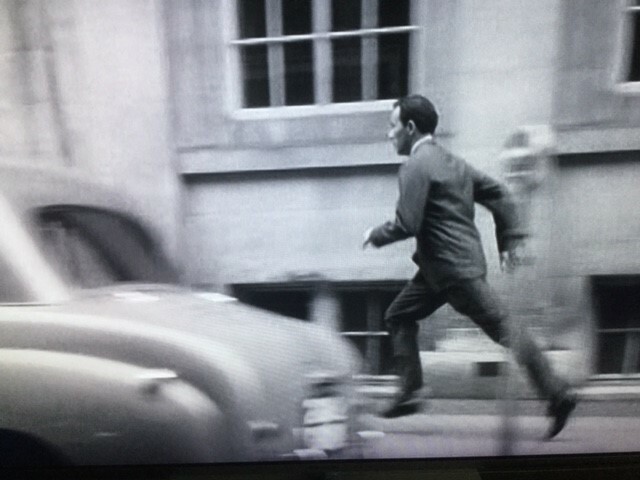 Now being hunted down by the police for murder, he flees to the sewers of the Opera. Claudin steals a prop mask from the costume department to cover his now-disfigured face. 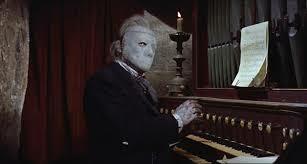 Back now to the Hammer version with Herbert Lom. In this particular “Phantom,” from Hammer Studios, the Phantom (Herbert Lom), and here Christine’s suitor is the manager of the opera house (Edward de Souza). 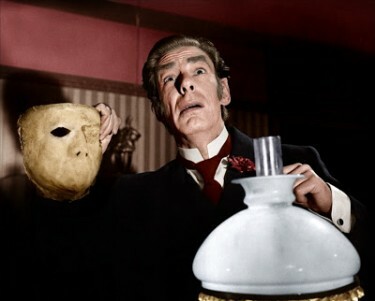 There is also a real villain, a plagiarist in the form of Lord d’Arcy (Michael Gough). Michael Gough is a really wicked villain and the supposed composer of the opera; Edward de Souza is a a good romantic interest for Christine; and Heather Sears as Christine is very sweet. 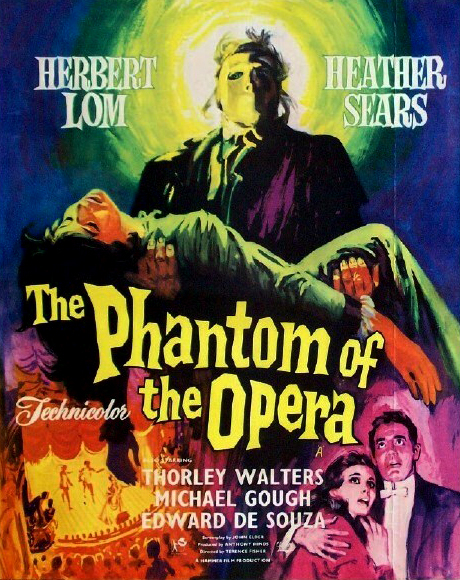 Herbert Lom is a great Phantom although is not a huge role in this film, but an effective and highly sympathetic one. This was the producing debut of the B-movie king Roger Corman. 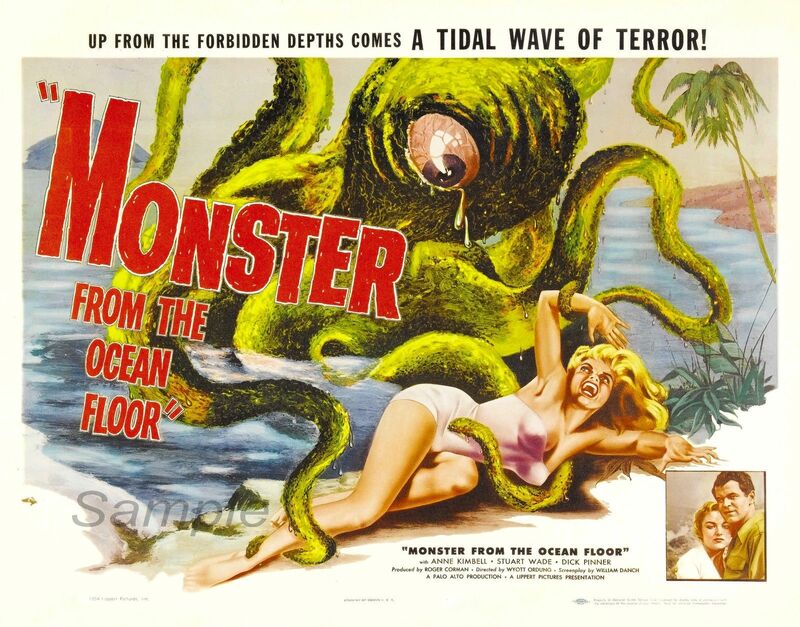 Many of his films were about unknown dangers lurking in the vast and unexplored ocean, and he produced/directed many profitable ones. In this one we have a giant one-eyed octopus skulking amongst a coastline in Mexico. Marine biologist Steve Dunning (Stuart Wade) picks her up in his mini-submarine and the two hit it off, but Steve is not at all convinced by Julie’s concerns about the mythical creature. With Steve moving on for further exploration, Julie is left on her own, with one of the local residents whispering in Pablo’s ear that a human sacrifice may cause the creature to go back into hibernation. I didn’t know much about the two leading actors in this film but it looks as though it was Stuart Wade’s debut film. 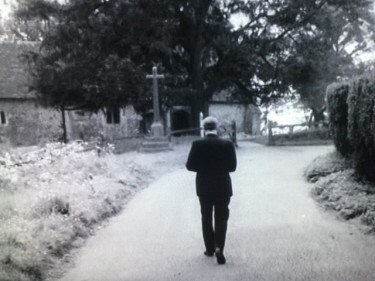 He seemed to continue until 1964 in roles – some not credited but at least he took one of the starring roles in this one. I will try to find out more about him. 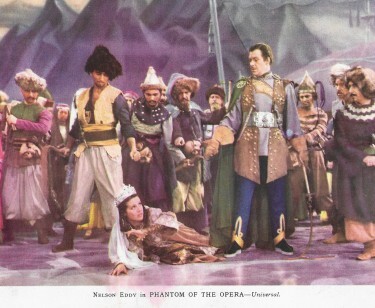 Anne Kimbell had a more successful acting career – in fact she did come to London and appeared in a West End play directed by Vivien Leigh – and met and married her husband here, who was in the diplomatic service – so after films she lived in various place in the world with her family. She does seem to have been an interesting person. In 1992, Anne Kimbell travelled to Colorado with the intention of purchasing a horse ranch. She acquired the ranch as planned, but also purchased the Jones Theater in Westcliffe, Colorado, which the previous owner had intended to convert into a Laundromat. She wanted to preserve the theater as a working cultural landmark in the Wet Mountain Valley. She founded the Westcliffe Centre for the Performing Arts and based it at the theatre. She and her business partner, Tom Stagg, expanded the WCPA and oversaw the addition of the new Studio 2 onto the existing Jones Theater. Anne Kimbell also developed the Shakespeare in the Park festival, which is now held annually in Westcliffe.She served as the WCPA’s president, producer and, finally, its artistic director until her death in 2017. She developed women’s cultural programs in Tunisia and a school for women in Chad. She was the author of several novels, including To Catch a Spy, The Ibeji Twins and Assignment Paris.